Sheldon ISD’s Future Farmers of America Show is a Huge Success! The Sheldon Independent School District is proud of the Sheldon Future Farmers of America students for hosting an open livestock show for local competitors! All in all, there were 132 entries in the Steer, Heifer, Lamb, Goat, and Swine shows. The show gave the students the opportunity to give their animals’ ringside exposure. The students also got the chance to practice their showmanship skills, as they prepare to show their animals in future shows. 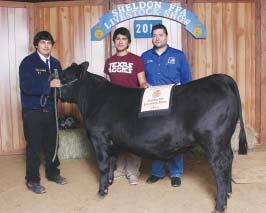 The Sheldon FFA students not only played host, but they also competed in this year’s show. The Sheldon FFA had over 50 entries, thanks to the addition of a few new categories. The categories included Steers, Heifer, Lamb, Goats, Swine, Rabbits, Chickens, Ag Mech, Horticulture, Decorated Cake, and Food Shows. The new categories were a hit with the students who want to be involved, but do not wish to raise an animal. The show’s big finale was the annual auction. Sheldon students earned thousands of dollars auctioning off their prized animals and projects. Sheldon ISD would like to congratulate all of these students on their hard work and dedication. 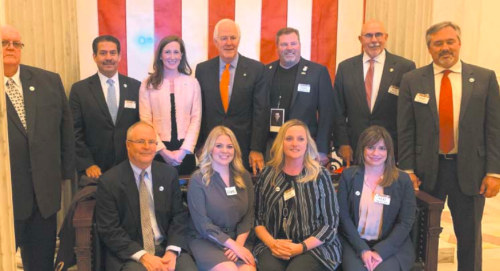 The Future Farmers of America program helps these students learn valuable skills that they will use as they continue to be successful in their lives.